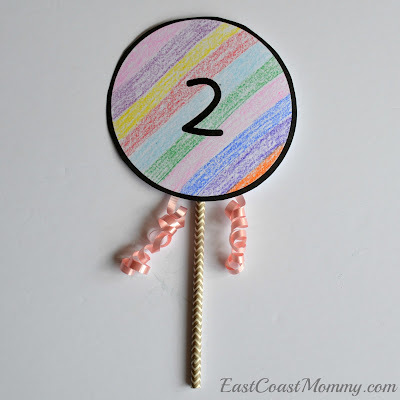 I have started a Craft Club in my home for preschoolers, and we are doing different number crafts each week. This week, we are focusing on the NUMBER TWO, and we are crafting a butterfly (with two wings), two handprint fish (inspired by the Dr.Seuss book One Fish Two Fish Red Fish Blue Fish), and a magic wand. 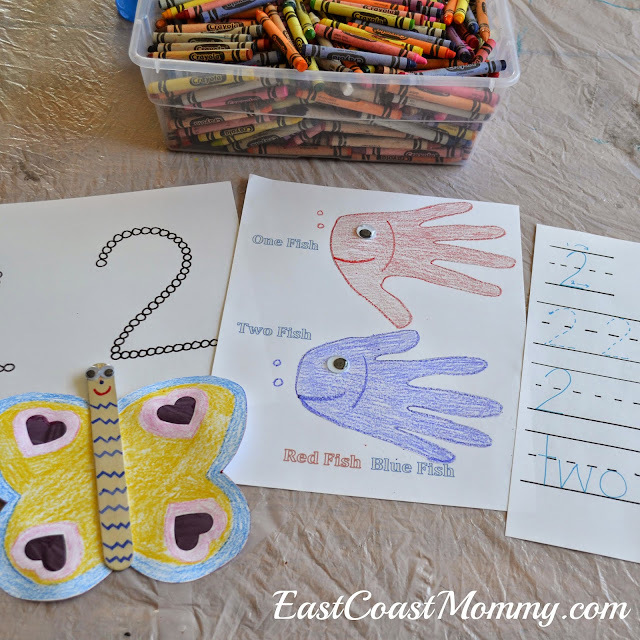 1) Download and print the template for the "One Fish Two Fish" craft, which you can find here. 2) Trace the child's hands onto the sheet. 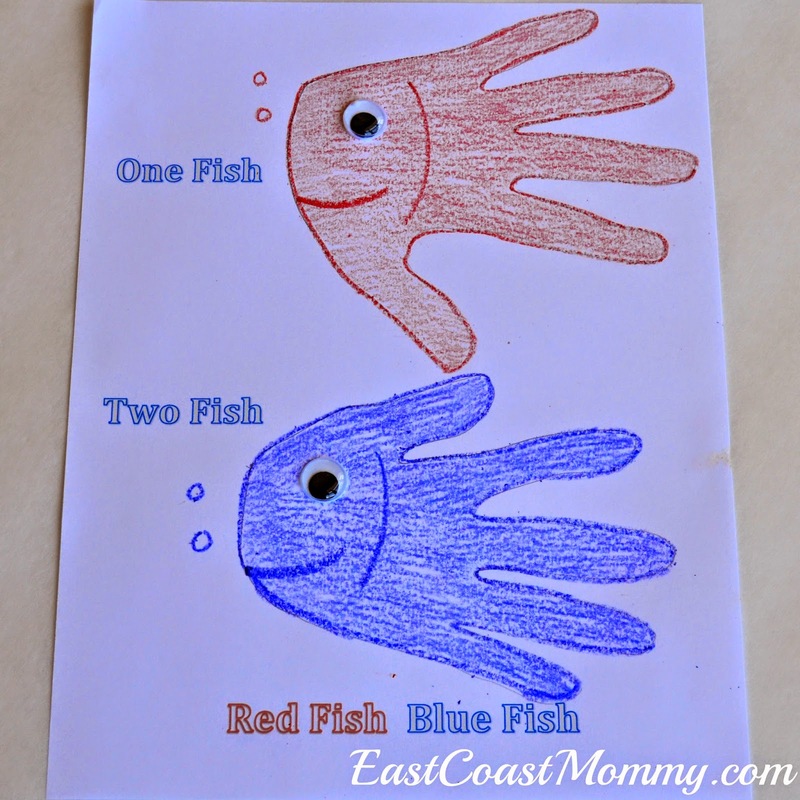 3) Have the child color the fish, and finish by adding googly eyes. 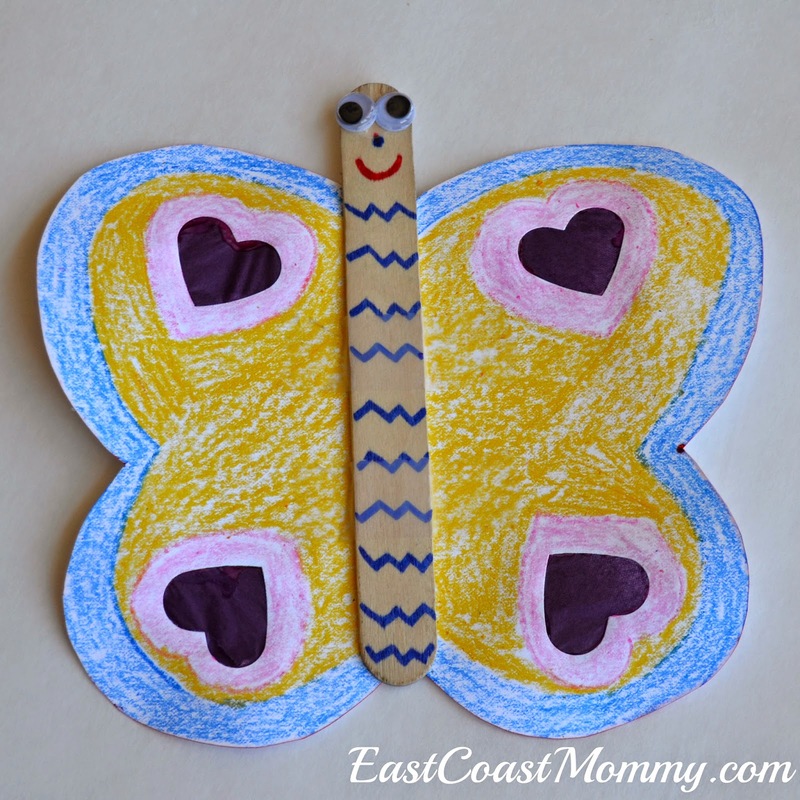 1) Draw butterfly wings on a piece of card stock, and cut them out. 2) Punch or cut holes in the wings. 3) Glue tissue paper over the hearts. 4) Attach a popsicle stick and googly eyes. You can also add this little poem to the back. To download a copy of the poem, right-click on the picture below, save it to your computer, and print like a regular 8X10 photo. 1) Draw a circle containing the number two and have the children decorate it and it cut it out. 2) Tape some ribbon and a paper straw to the back. 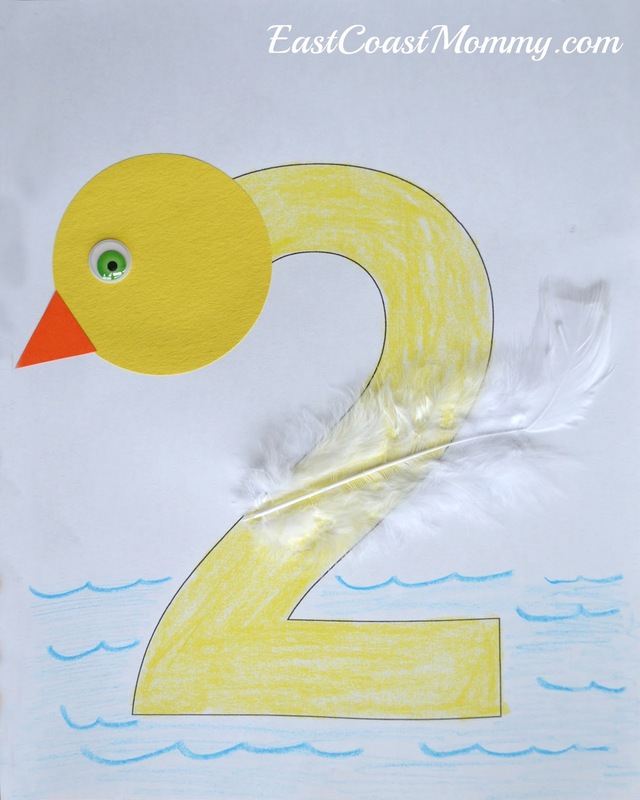 Making a duck out of a "number two" is another adorable craft for Preschoolers. Color a two, and then add a feather wing, an eye, a head, and a beak. Cute, right? 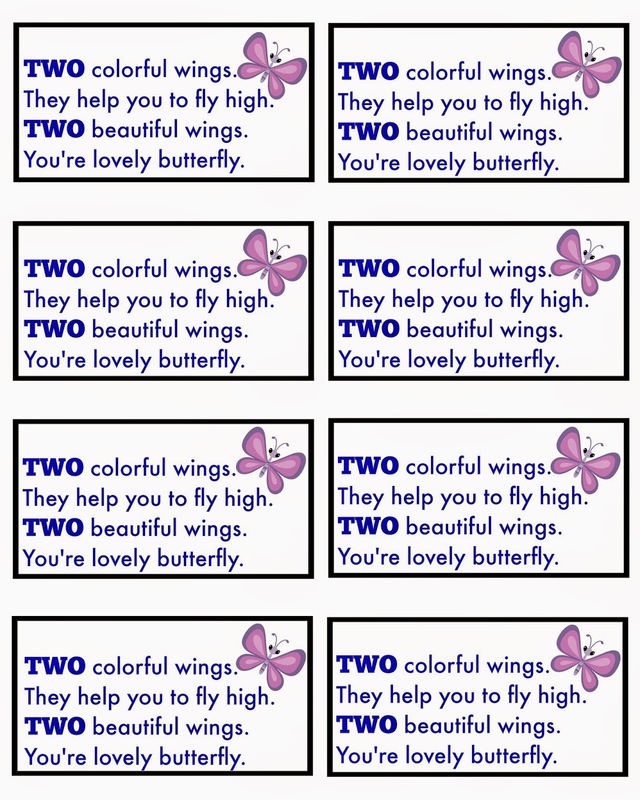 We also did some printing practice, and used a stamp to "stamp out" the number two. 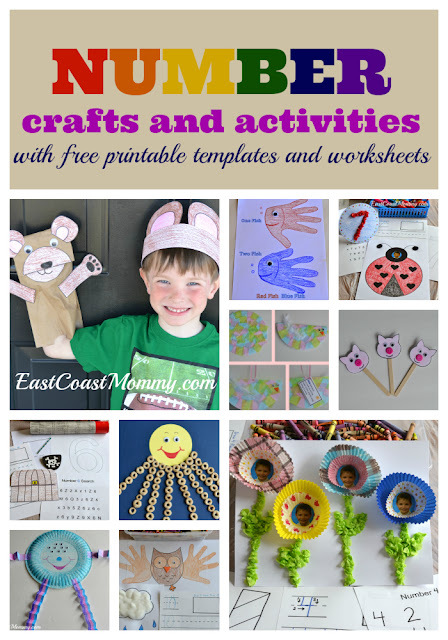 I think these number crafts are adorable, don't you? 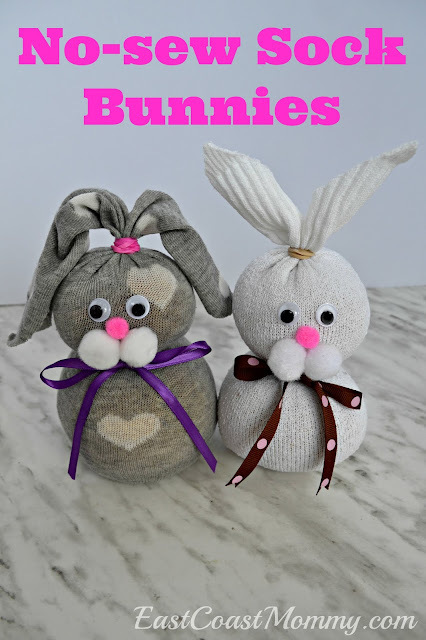 I'll be posting some crafts and activities for the number 3 soon!